The Croatian Walk of Fame is located next to Slatina Beach on Opatija's coastal promenade. It was inspired by the Hollywood Walk of Fame. Marble stars commemorate famous people whose achievements have contributed to the promotion of Croatia in the word. This important project is designed as a tourist and educational brand that will help spread the word about Opatija, its tourism offer, and Croatia in general. The laureates are nominated by independent bodies and are selected from among celebrities and famous people in Croatian public life. A star on the Croatian Walk of Fame is given to prominent figures who live or lived in Croatia and who have made outstanding contributions in the fields of science, culture, art or sport. The Croatian Walk of Fame on Slatina promenade at present has 32 stars dedicated to famous scientists (Nikola Tesla, Ruđer Bošković, Ivan Đikić), writers (Miroslav Krleža, Ivan Gundulić, Dragutin Tadijanović), actors (Rade Šerbedžija, Fabijan Šovagović, Pero Kvrgić), poets (Tin Ujević), figures from sport (Janica Kostelić, Blanka Vlašić, Goran Ivanišević, Krešimir Ćosić), and many other famous people whose achievements have helped spread the word about Croatia throughout the world. The walkway on the coastal promenade in Slatina with its marble stars dedicated to world-renowned people from Croatia is one of the tourist attractions that you should definitely visit during your stay in Opatija. 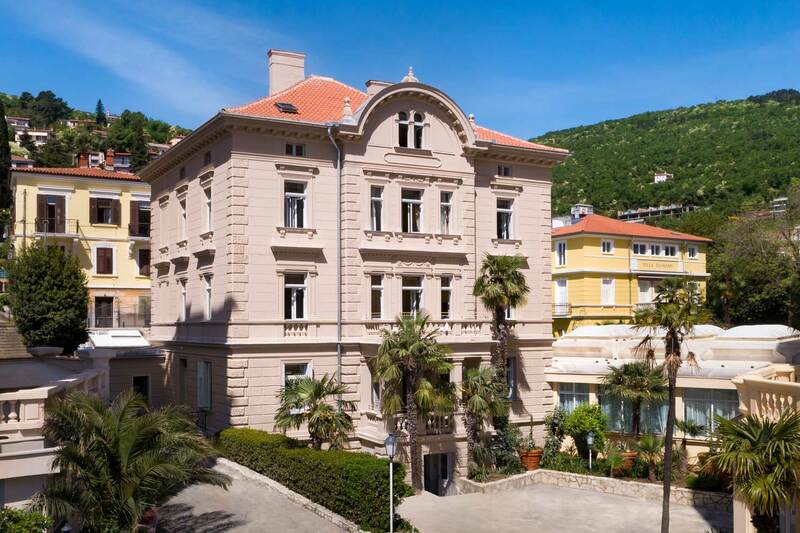 February – the month of carnival in Kvarner and a romantic Valentine's in Opatija.